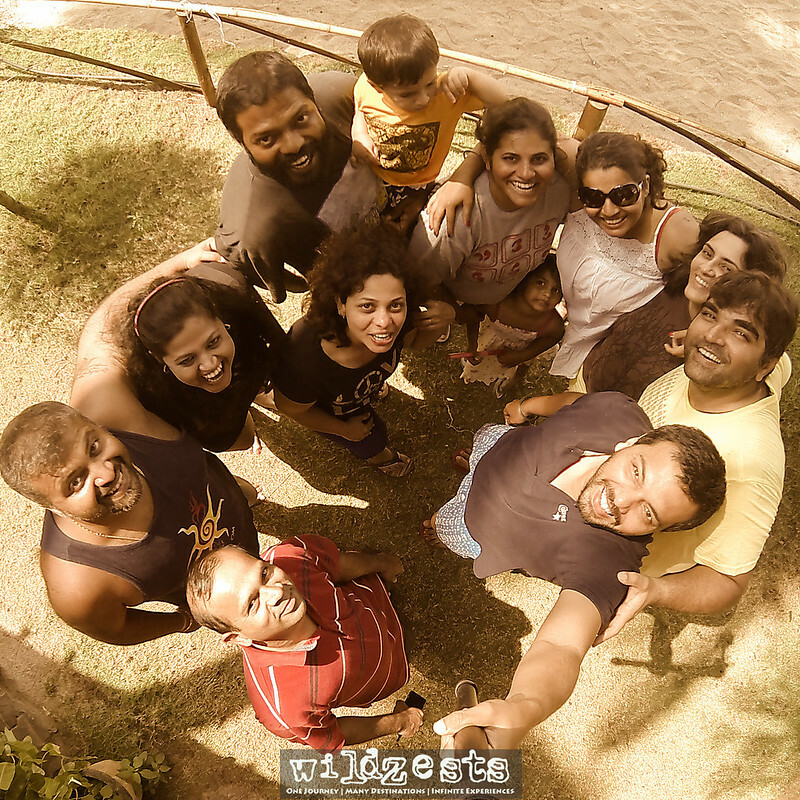 WildZests: 2014 College Reunion in Goa - Yet Again! It was time for the 10th year anniversary for Gawde's wedding in February and we had been discussing plans of doing a reunion around the same time to celebrate. The last time we all met was in 2012 and it was a blast and that was in Goa. 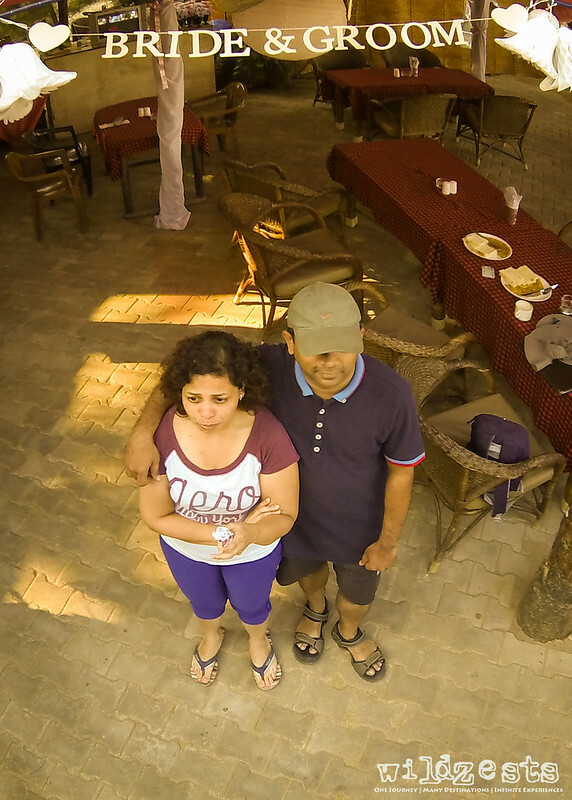 So we looked at some other options for this time but eventually settled down with Goa again, mainly due to ease of access to the beach, good food and other obvious reasons. 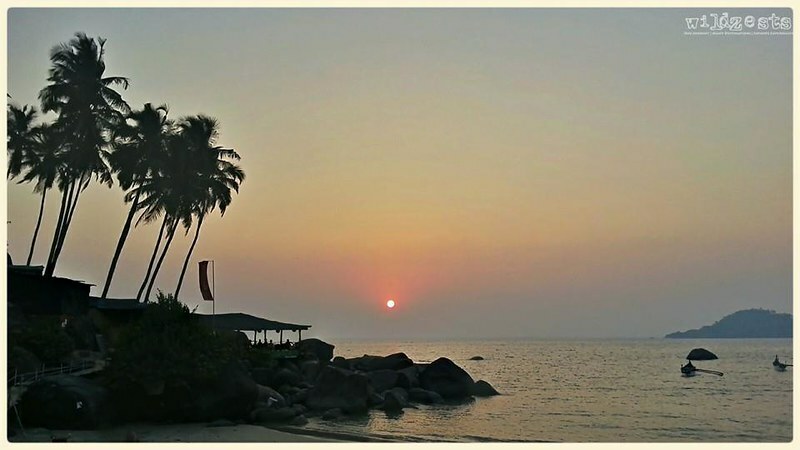 Given that we’ve always preferred to stay at Palolem beach rather than anywhere else, it was a no-brainer on where we were staying. Not only that we have a preference for the beach, we also have a strong liking for Marron’s Beach Resort where we’ve stayed multiple number of times. 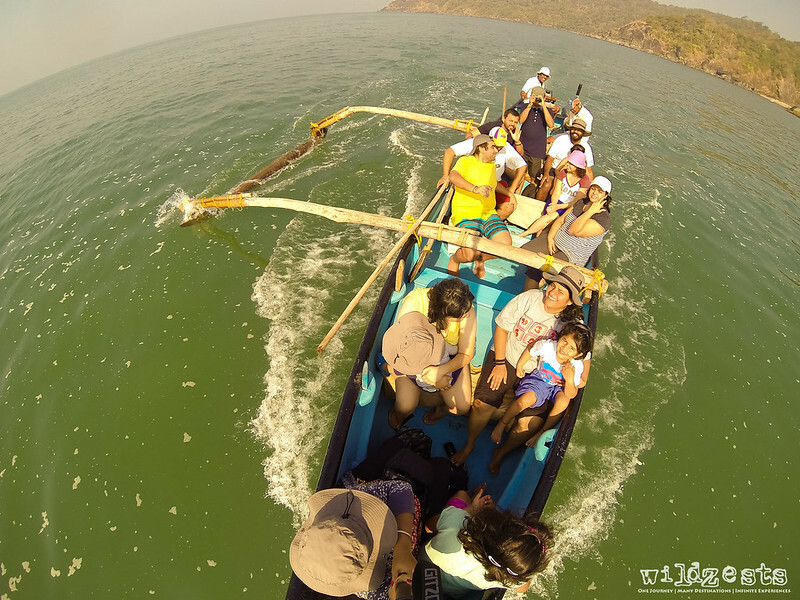 This year, it was a bit difficult to get contact details of the resort since the original contact number wasn’t working. But luckily, a friend of ours was visiting before us and we were able to get the new contact details and have our bookings confirmed beforehand. It was kind of dejavu of our last get together, same place and mostly same folks except for some new faces who joined and some folks from the last time who couldn't make it. But with our group, we never really feel like we were disconnected for a long time, it's still like we're in college and never really grew up! 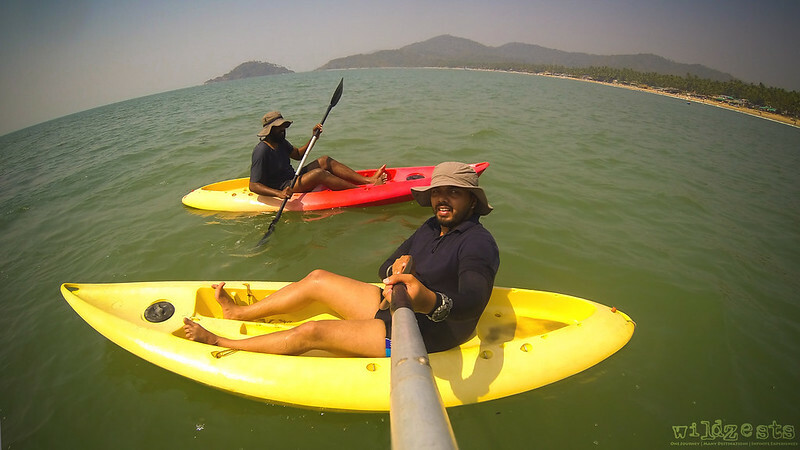 The Palolem beach still retains its charm with the calm sea and shallow beach, but it seems to be getting more crowded each time we’ve visited over the past few years. Thankfully, the water motor sport craze hasn’t caught up yet even though kayaks are available to rent. One of the mornings we all went out for the dolphin ride in the morning and we were happy to see quite a few of them hunting around 500m from the shoreline. The days were mostly spent relaxing at the sea-facing restaurant with food and beverages being ordered through the day. And when we weren’t eating, we were out at the sea – kayaking. Unlike last time, I didn't want to take any chances with my sunglasses during our kayaking sessions, and so this time I was wearing a hat instead. I remember there were two of us who had lost the sunglasses into the sea as we toppled over from the kayaks. Elly had taken up kayaking as his new hobby, and so this time there was a lot more enthusiasm. I made good use of the GoPro Hero 3 camera in our kayaking sessions, it really helps you get some cool perspectives. The three days got done in record time and before we realized, it was time to head back. But it was not without making a promise to meet again someday. Hopefully, the next one will be at a different place. Until then....ciao!